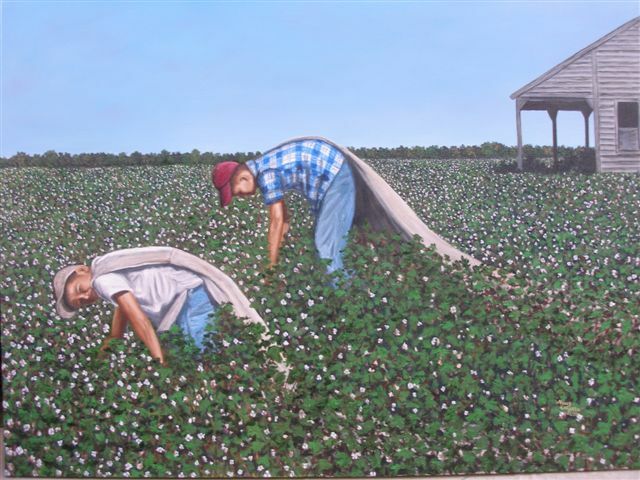 August 14, 2009 -- The Southern Tenant Farmers Museum, 117 Main Street, Tyronza, will host an exhibition, “Growing Up in the Delta, ” opening Fri day, Sept. 4, and running through Wednesday, Sept. 30. This exhibition displays the work of Nancy LaFarra Wilson of McGehee. An opening reception will be held Friday, Sept. 11, beginning at 7 p.m. Hours for this exhibition at the Southern Tenant Farmers Museum will be 9 a.m.-3 p.m., Monday-Friday, and 12 noon-3 p.m. on Saturday. The exhibition and the opening reception are free and open to the public. “Growing Up in the Delta” will include approximately 25 works of art. Nancy LaFarra Wilson has a bachelor's degree in art education and teaches art to kindergarten through sixth grade students at McGehee Elementary School in McGehee, Ark. 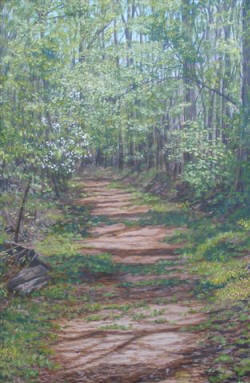 Wilson enjoys painting in oils and watercolors, and her subjects include landscapes, portraits, and animals. 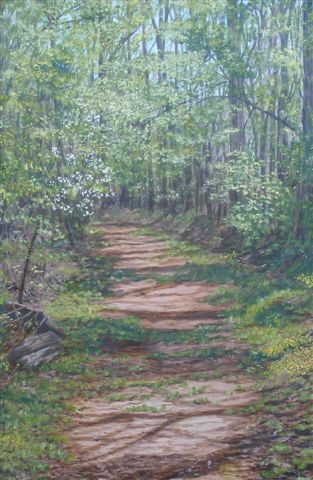 She grew up in the Delta region of Arkansas, and she loves to paint the beauty of the land surrounding her. She especially loves the cotton fields and the agriculture of the area and is always looking for unique ways to portray these things. Wilson works primarily in oils but also works occasionally in watercolors. Wilson's artwork has been in numerous art exhibits and various venues, including the Spencer Gallery at the University of Arkansas at Monticello, the Arkansas Artists Registry Exhibit in Little Rock, the 50th and 52th Annual Juried Art Competitions at the Fort Smith Art Center, Fort Smith Art Quest at the Fort Smith Convention Center, the Helena Watercolor Exhibit, the 2001 Irene Rosenzweig Biennial Exhibition at the Arts and Science Center in Pine Bluff, and the 8th Annual Juried Artists of Northwest Arkansas Fall Regional Art Exhibit at the Arts Center of Ozarks in Springdale. Wilson’s artwork was also included in Senator Blanche Lincoln's Arkansas Artists Exhibit in her Washington D.C. office, the Guachoya Cultural Art Center in Lake Village, 2003 River Market Regional Juried Exhibit at the Kansas City Artists Coalition in Kansas City, Missouri, the 2003 National Juried Exhibit "Kindred Spirits, Celebrating the Healing Power of Pets" in Lincoln, Nebraska, an exhibit in the Statehouse Convention Center in Little Rock, the 16th Annual Regional Juried Exhibit at the Regional Arts Center in Texarkana, Texas, the "Plein Air" Juried Art Exhibit at Keyes Gallery in Springfield, Mo., and a 2005 solo exhibit at Arts Center of Grand Prairie in Stuttgart. Wilson’s work was also included in 2008 and 2009 Arkansas Artists Calendars sponsored by Ginger Beebe and the Governor's Mansion Association, and the 2008-2009 art exhibit in Senator Mark Pryor's office in Little Rock. Wilson will also have a painting in the Governor's Mansion in January 2010. Wilson became a member of Arkansas DeltaMade, a collection of foods, gifts, and arts and crafts that springs from the Mississippi River Valley, the geographic heart of the nation, in 2009. Wilson is also a member of the Arkansas Arts Council’s Artist Registry. Wilson also has artwork on permanent display at the Pine Bluff Jefferson County Courthouse, Riceland Foods, Inc. in Stuttgart, the Fort Smith Convention Center, Madonna Rehabilitation Hospital in Lincoln, Nebraska, the Clearwater Paper Corp. at Cypress Bend, Fla., and numerous private collections across the United States. For more information on “Growing Up in the Delta,” call the Southern Tenant Farmers Museum at (870) 487-2909, or visit the museum on the Web at http://stfm.astate.edu/index.html.